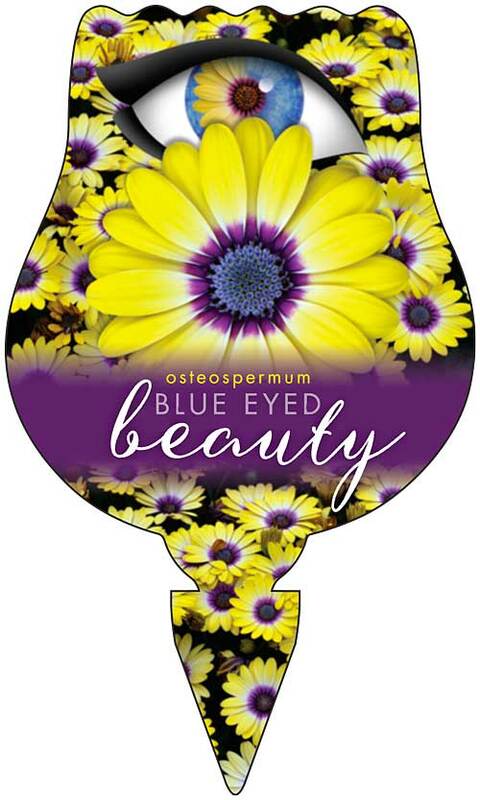 Osteospermum Blue Eyed Beauty – the most rewarding plant for the least effort! 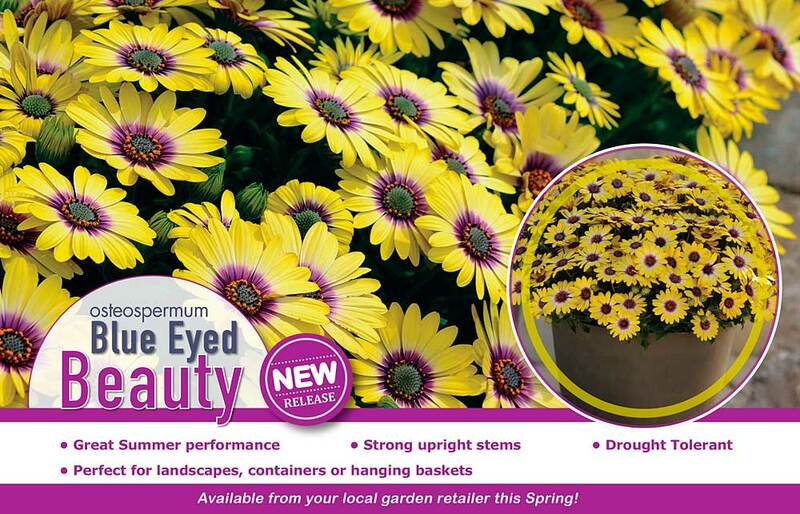 Osteospermum ‘Blue Eyed Beauty’ has butter-yellow blooms with a strong central eye. This puts a modern twist on a garden classic. The purple tinged, sky reflected blue in the central blotches, create a luminous and truly stunning appearance. Osteospermum ‘Blue Eyed Beauty’ will grow in any climate, is strong and very weather-tolerant. You will be rewarded with an abundance of flowers over a long period, from spring through to autumn. The compact, bushy form makes it ideal for containers, baskets, garden beds and an absolute winner in garden landscapes. Osteospermum ‘Blue Eyed Beauty’ is available at all good garden centres.